Your bird needs sunlight. Windows filter out UV, which birds need. Full-spectrun light is the answer. NO incandescent bulb is full-spectrum, but that's a good thing. The answer is flourescents...and it doesn't have to be expensive. You can go broke buying specialized bird lights, but why? Walk into the closest Home Depot, Menards, or whatever, and look for the displays LEDs. Find the ones that are labeled "Daylight". There will be a color rating on the package...look for about 6500 K.. 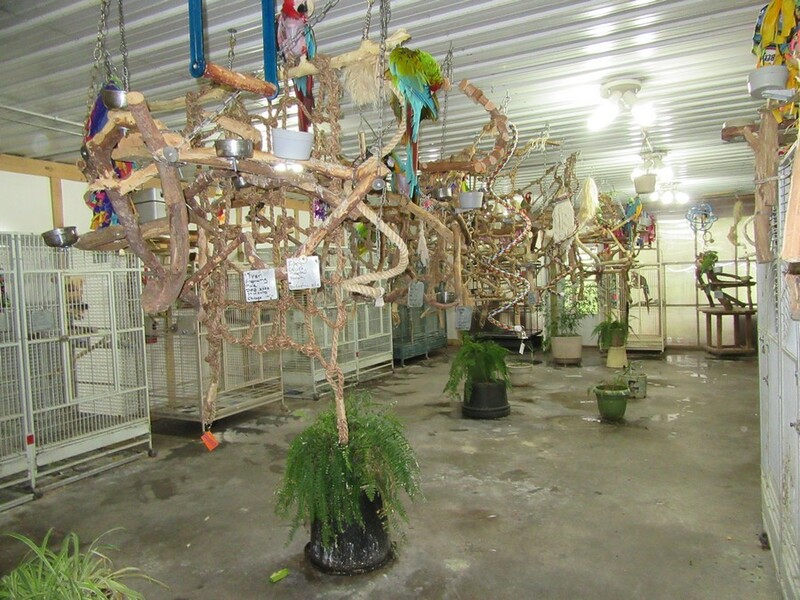 These will give your bird good light, cost much less to operate, and last about six times longer...they're so efficient that Australia and Canada have made regular incandescent bulbs illegal in the near future. If you can't find the LEDs, CFL are good too. What about mounting them? 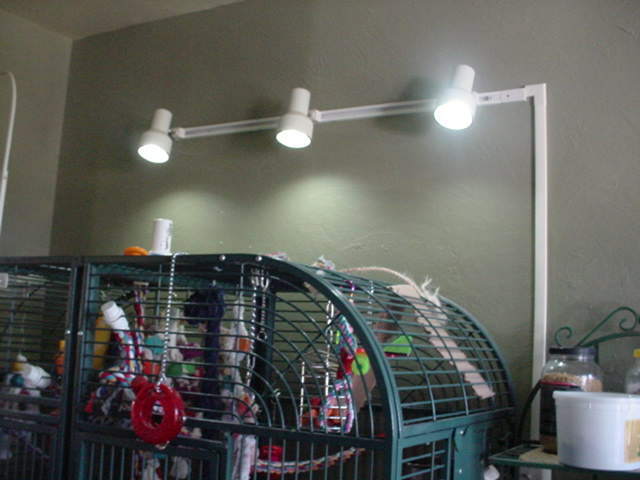 This is a track mount on the wall above Sammy Scarlet's cage. The lights are daylight, equivalent to three 60 watt blubs, and using 54 watts total. The unit is a do-it-yourself system from Menards that cost $80 and went up in an hour...it plugs into an existing outlet and has its own wall switch. It could easily be ceiling mounted also. The new LEDs and CFLs fir standard light bases, so you can use any fixture that works in your location. The keys are daylight spectrum and brightness...your birds won't do well in a dim place. Here's what it looks like inside our shelter building.